Ipes had envisioned an online platform that would enable individuals to create one complete KYC and FATCA profile and share it securely with their lawyers and fund managers, making Compliance Due Diligence (CDD) quicker, easier and more cost effective. This idea for The ID Register was born in response to demands from the legal and the PE Fund community, who were frustrated with the lengthy CDD process. Administration subsite (Administration Tasks for IPES staff, Due Diligence Triggers, Permissions). 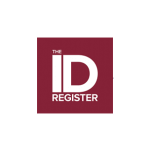 Since its launch in 2016, The ID Register has evolved to become a central industry utility for the private Equity sector It makes the investor onboarding process quicker through the Universal Subscription questionnaire (USQ). It works by allowing users to create and share complete Due Diligence profiles and evidence via a secure online portal for free, eliminating the need for multiple paper forms that all ask for similar information in slightly different ways. The paperless verification system uses real time sanctions screening against global sanctions and Personal Equity Plan lists to provide a complete live Due Diligence profile. It has the ability to combine data with multi-jurisdictional reporting for FATCA and Common Reporting Standard (CRS), delivering an efficient, cost effective package that will report the right information, at the right time, to the right jurisdiction. Further, it connects the user’s profile to anyone who needs his/her KYC such as banks, legal firms, fund managers and other counterparties worldwide. In utilising this technology, The ID Register’s team of analysts ensure that the user’s KYC profile is kept up to date without any further intervention. The ID Register team work in alliance with other professionals to ensure that each profile remains compliant with FATCA and CRS legislation. It is not an overstatement to say that The ID Register is nothing short of a revolution for the investor onboarding process in the private funds market. In response to regulatory change this onboarding process had become overly complex. With the ID Register there is now a straightforward solution.